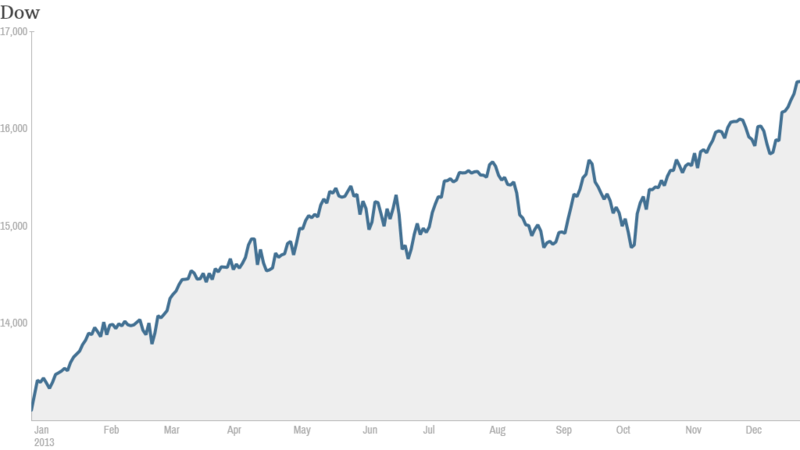 Stocks: Break out the champagne! 2013 has been a very good year for stocks. 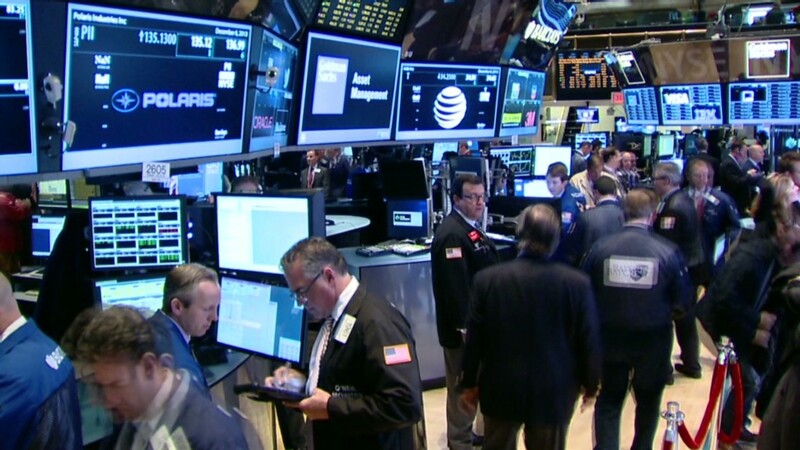 It's been a terrific year for stocks and investors are hoping 2013 goes out on a high note. The final two weeks of the year are typically good for stocks, a phenomena known on Wall Street as the Santa Claus rally. Over the past 100 years, the Dow has gained in the New Year week 69% of the time, according to Schaeffer's Investment Research. Ryan Detrick, senior technical analyst Schaeffer's, expects the momentum to continue in the near term as investors who missed the rally look for opportunities to buy into the market. While it's impossible to predict what stocks will do, "we don't anticipate anything rocking the boat," he said. The Dow is up more than 25% and S&P 500 has gained nearly 30% so far this year. The Nasdaq has surged 38%. The Dow is on track for its biggest annual gain since 1996 and the S&P 500 is on pace for its strongest year since 1997. Related: Are you a markets wiz? Markets closed Jan. 1: U.S. markets will be closed Wednesday for New Year's day. Economic reports: The economy will be in focus next week. Reports on home prices and consumer confidence are due, along with data on manufacturing activity and auto sales. Investors will be watching all economic data closely, especially after the Fed announced plans earlier this month to begin scaling back its monthly bond purchases by $10 billion beginning in January. Investors took the news in stride and many see the move as a sign the economy is likely just about strong enough to stand on its own. The Federal Reserve's stimulus policies have been a major driver of the bull market that started in 2009. But stocks have been supported in 2013 by an improving economy and continued growth in corporate profits. Stocks rose last week, with the Dow Jones industrial average and the S&P 500 both touching record highs. The gains came on light trading volume with many professional money managers absent for the Christmas holiday.